The first Swinging Ladder Dredge was initially designed and built by Ellicott Dredges in the 1940s. The dredge was initially intended for digging waterways that were too narrow for conventional dredges to operate. Today Ellicott continues to develop and manufacture 8”,12”, and 14’ Swinging Ladder dredges that are easy to transport and offer wide swing widths for optimal precision. 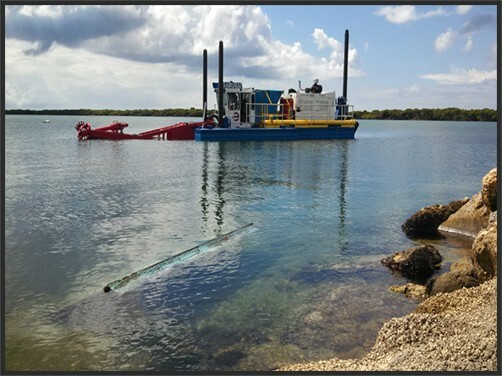 The dredges heavy-duty dredge structure is built to last for several years and ideal for environmental, canal, waterway, and sand and gravel related projects. Our Swinging Ladder dredges are capable of dredging compacted soil types and solid materials such as clay, sediment sand, and gravel. Ellicott’s Swinging ladder dredge product line offers a variety of durable equipment such as the Ellicott Series 360SL Swinging Dragon® Dredge. 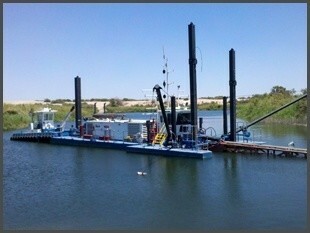 This dredge is equipped with proportional electronic controls for accurate dredging operation. If you are looking for a dredge that is easy to assemble then you may want to consider our 460SL Swinging Dragon® Dredge which can be easily assembled with a standard set of hand tools and marine cranes. 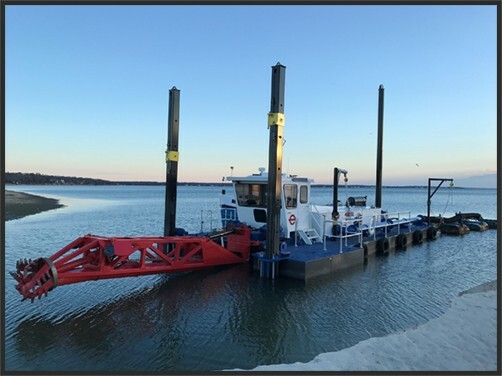 If you are an experienced dredging operator looking for a Swinging Ladder dredge that is capable of handling the most challenging conditions, you may want to consider the Ellicott Series 860SL Swinging Dragon® Ladder Dredge which is capable of digging depths ranging up to 30’ (9.1 m).